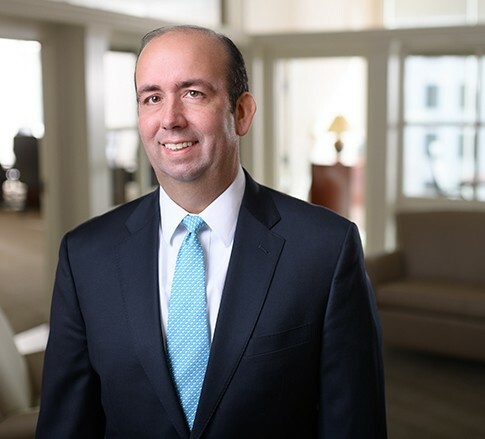 Jay E. Ingle is a Member in the Health Care industry group, focusing primarily on commercial litigation, equine law, labor and employment, and medical malpractice. He practices out of the Firm’s office in Lexington, Kentucky. Jay also regularly advises clients on various governmental, legislative, and regulatory matters. In recent years, he has expanded his practice to help lead the Firm’s efforts in Kentucky related to public-private partnerships and economic development. For Jay, practicing law allows him to experience multiple careers in the span of one. Every new case or project demands he learn the ins and outs of his clients’ businesses. From bariatric surgery to pari-mutuel wagering systems, corporate finance to coal mining, Jay has learned them all in order to represent his clients effectively. He has no hesitation in doing whatever it takes to truly understand his clients’ business, whether it be something perceived as fun like visiting a horse farm or racetrack or something not as glamorous like going underground in an abandoned mine. Jay is a true people person. He is most at home when he is meeting with clients in order to help them solve their problems or grow their businesses. This extends into his personal life, where he is actively involved in his local community. He has worked with Commerce Lexington and serves on its Public Policy Council, serves on the boards of the Saint Joseph Hospital Foundation and the YMCA of Central Kentucky, where he also chairs the Board of the High Street YMCA. Previously, Jay served as President of the New Opportunity School for Women and on the board of Ashland Terrace, a non-profit retirement home. Don’t let all this civic involvement fool you though – Jay is every bit the litigator and likes to win. His father was the public-address announcer for University of Kentucky basketball and football for more than 20 years, so competition is in his blood.